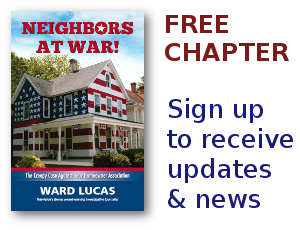 privacy Archives - Page 94 of 94 - Neighbors at War! They’re Looking, They’re looking, They’re looking at you! No Comments on They’re Looking, They’re looking, They’re looking at you! One of the great privileges of being a longtime news reporter is the great people you get to meet. Often, people we meet and do a few interviews or stories with, turn out to be some of the most important people in the entire world. Christian virtues unite men. Racism separates them.